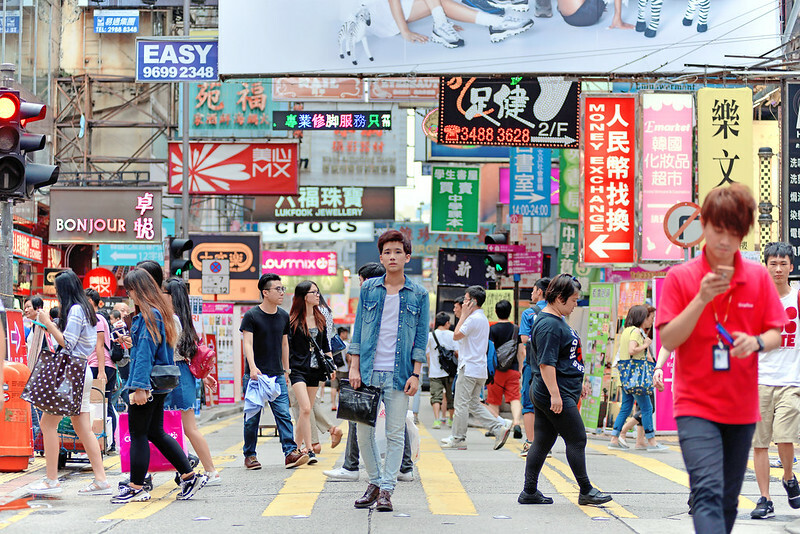 American Eagle Outfitters is in Singapore now! Hello everyone! Hope you guys are doing great! I'm really excited to share with you all what have I been busy with recently, and one of them is being face of American Eagle Outfitters this summer! I'm very happy to part of this because I really love their apparels because they fit me so perfectly. 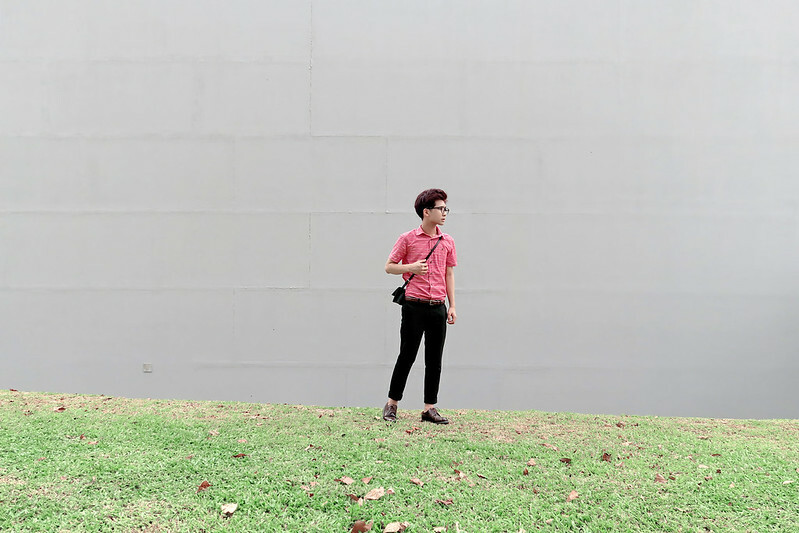 I understand that many people around are buying American Eagle Outfitters online previously but now, their flagship store is finally in Singapore! So now you can buy them physically at the store without having to wait. The first look that I created is perfect for summer, the beach wear outfit! I like how we can give the typical beach wear look a twist by putting on a denim outerwear. You can also tie it around your waist (or just carry it) to create a different style to it too! 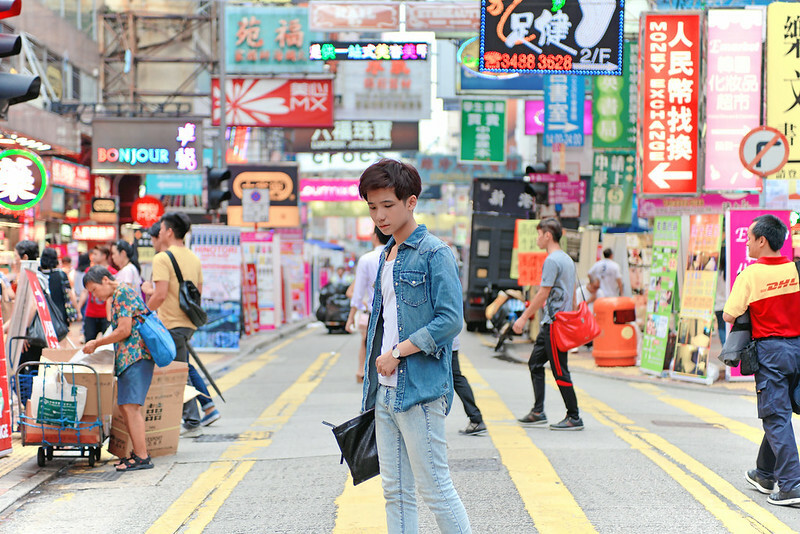 And since I love the denim outerwear so much, I paired it with another outfit when I was travelling to Hong Kong recently! 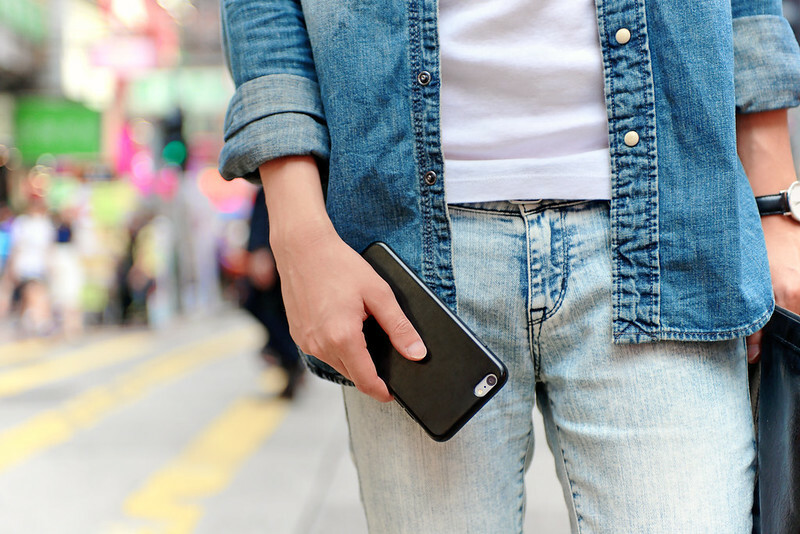 Look at how versatile the denim outerwear can be! Totally fit the description of wild and free fashion style! I find it a really good piece of clothing item to own since you can interchange and use it for different styles and outfits. A slight close up details of the denim outerwear. Another outfit that I matched with an AEO top which was supposingly Randy's (we sometimes do share our clothes)! Randy matched this top as an outerwear for his beach look, but I took it and switched it up to match with my formal pants and shoes! After waiting for months, the first American Eagle Outfitters flagship store at VivoCity has finally opened! Attended the media launch before the official opening and it was a blast! 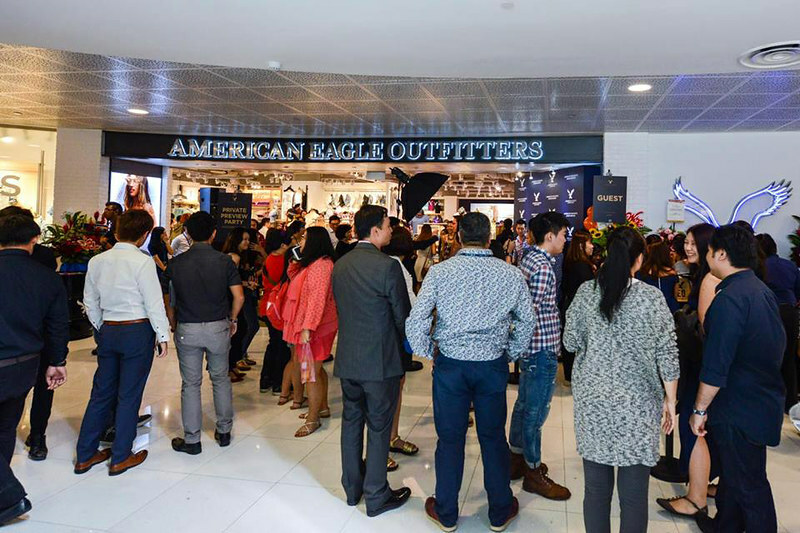 The turnout was great and everyone had fun with food, drinks and games while shopping and browsing through the new collection of American Eagle Outfitters. 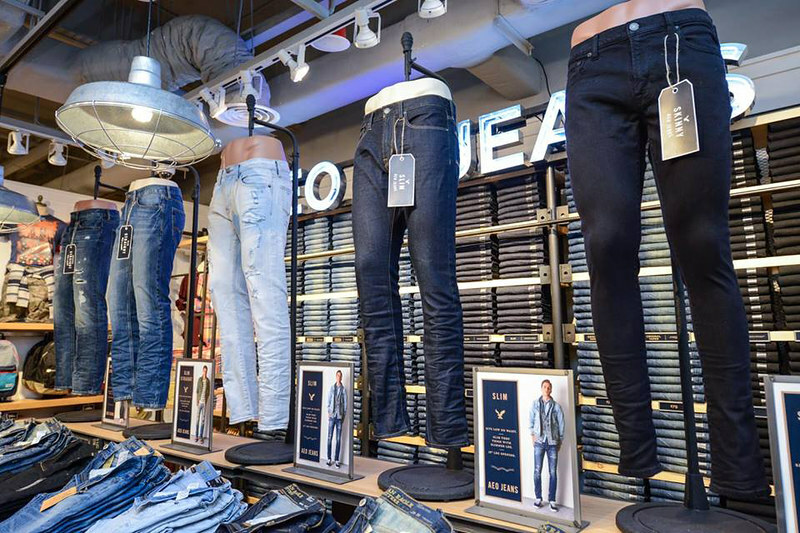 Love their denim because it is so fitting which I tried on for my photoshoot with them. Their Strong Denim Range has an extensive range of fits and washes which most of us can find a pair of denim that we like and is suitable to our style. The store also has this unique shopping experience for all of us, which is the call button service in the fitting room! So with this call button service, you can just press on the button if you need any assistance when you are inside the fitting room trying the apparels, and the sales assistant will attend to you immediately! Now we don't have to run in and out to pick out the different sizes! Small bites going around during the media launch! With Peishi and Randy during the media launch! 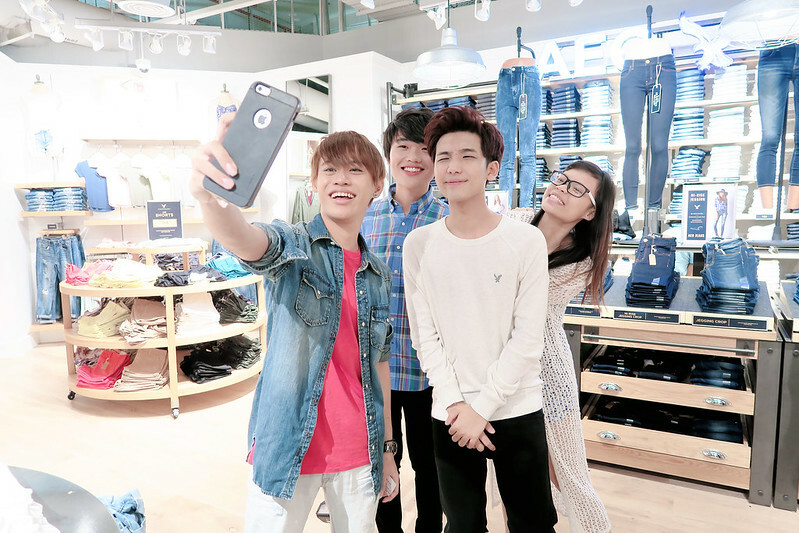 All of us are wearing apparels from AEO! Thank you for dressing us up! And can I say how much I love the grey sweater??!! I've been wearing it a lot lately because it is so comfortable! Finally met the #AEOStyleMe contest winners and thank you all for participating! Had a great time interacting and styling them in AEO apparels! All of us rocking different styles with apparels from American Eagle Outfitters! A group photos with all the contest winners! 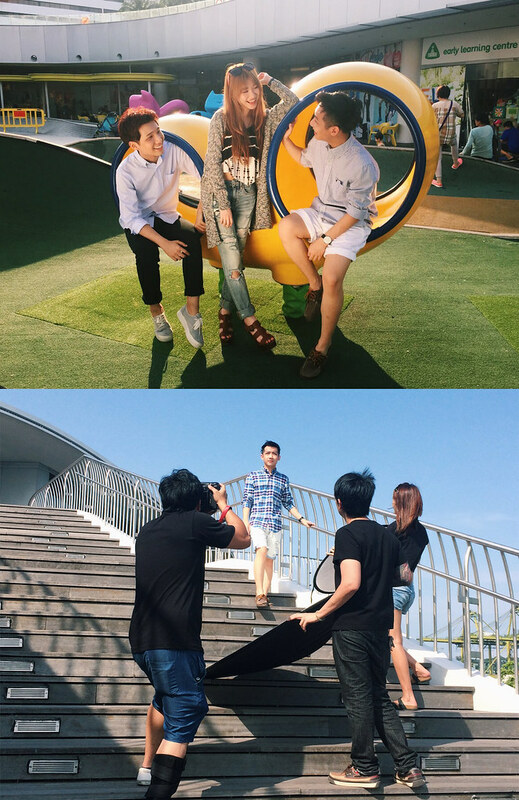 Some behind the scene photos taken by the friendly AEO team while we were having photoshoot! Below are some of the photos featuring various style and outfit to match different occasion and your personality! Graphic tee with ripped wash out denim shorts and cardigan! Perfect for a causal day out! 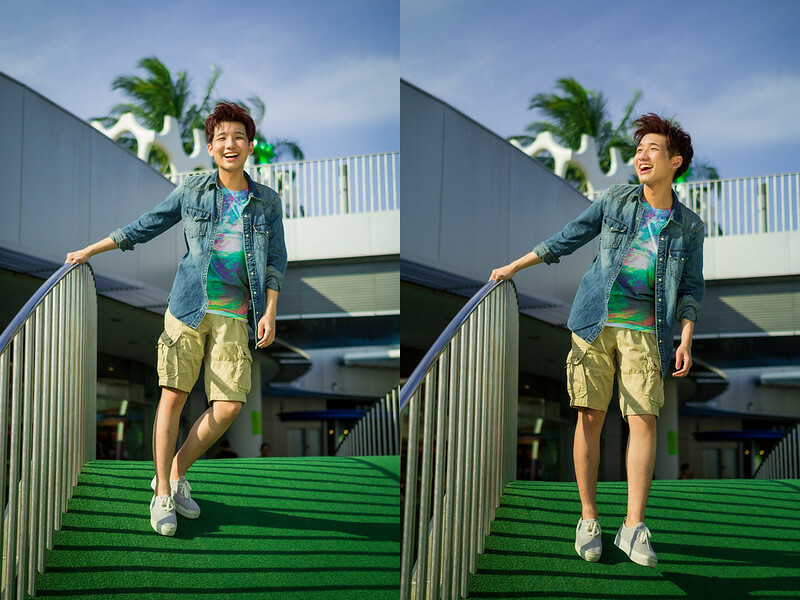 Graphic tee with denim shirt and cargo shorts for a more fun and sporty look! Last but not least, a button shirt with black denim for a smart casual look! 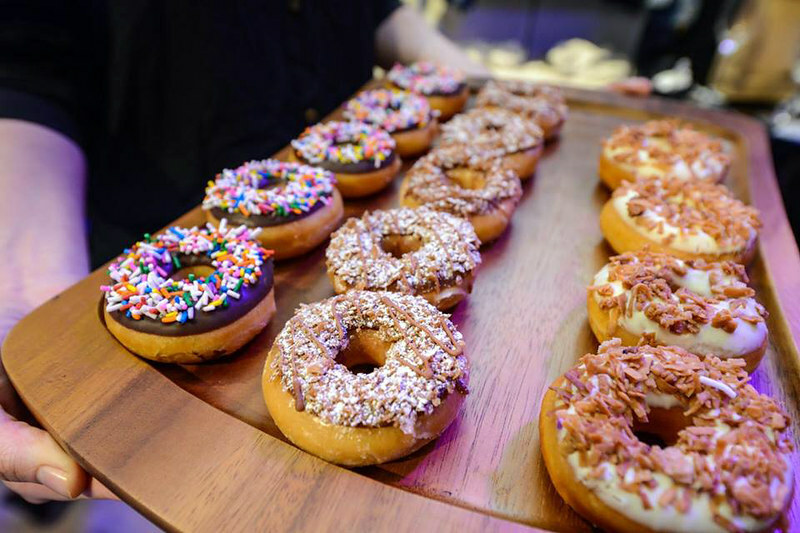 Perfect for dates or events! Having said so much, now it's your turn to experience and Live Your Life with American Eagle Outfitters! Do visit their flagship store at VivoCity B1-06/07 to check out their full collection of apparels! Don't forget to also follow them on Facebook and Instagram to be updated of any upcoming promotions and new launches! That's not all! Want to win exclusive AEO premiums? Now you can! 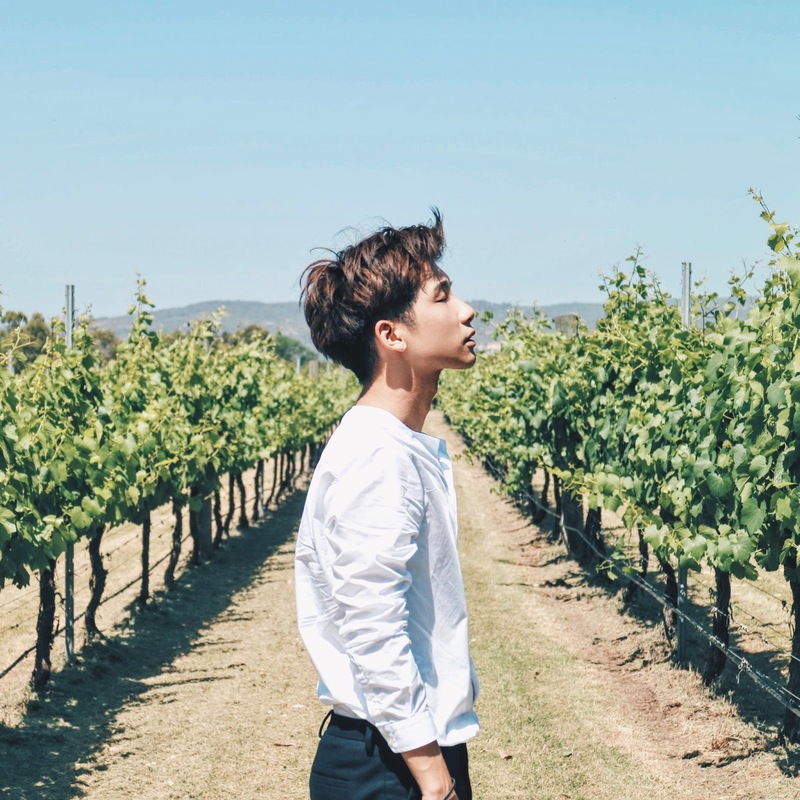 Just simply leave a comment in this blog post below on why you love American Eagle Outfitters and 10 winners will be chosen to receive exclusive AEO premiums! I love American Eagle Outfitters because the apparels are comfy and simple, giving off a refreshing look! The clothes are easy to match as well! A brand that consist of so many different style. Great to bring out individuals personality. I love AEO because The style of they outfit is so trendy and affordable even for students like me ! 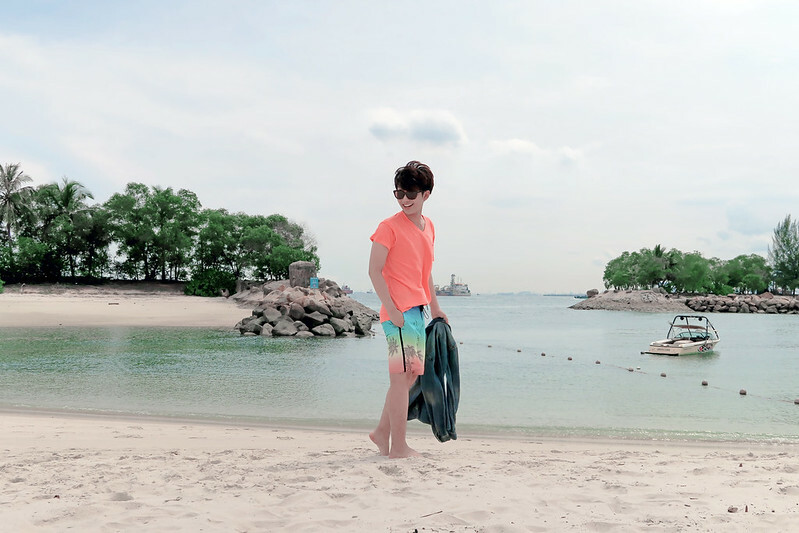 I'm glad that now I will be able to find gorgeous outfit for the crazy hot weather Singapore have. I also love the fact that i dont have to go through many shops for different products, As AEO have wide range of products. Lastly, I can save lots of money as I can just mix & match the clothes from AEO. In this way, I can wear many different style of without having to trouble "what should I wear today?" or "did I wear this before like yst for school?" I love AEO because of the fact that i dont have to go through many shops for different products, as AEO have wide range of products. Their product are also very trendy, casual and affordable for the teenager . And they have lots of denim and Jean which I really like as they can bring out different feel of a person. I love AEO's wide range of denim jeans, because I can always find a perfect one for every occasion! I'm glad that AEO has finally come to Singapore, making it convenient for us to buy comfortable, trendy yet affordable clothings easily. 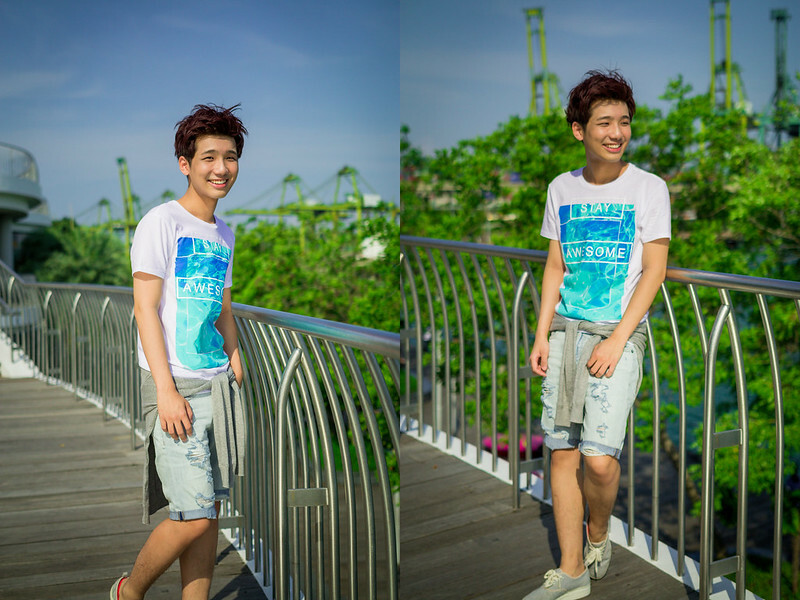 AEO offers a vibrant summer collection, perfect for the weather in Singapore. I am already planning to have a shopping spree at AEO after I receive my paycheck! The youthful and trendsetting collection is sure to capture the hearts of shoppers like me! 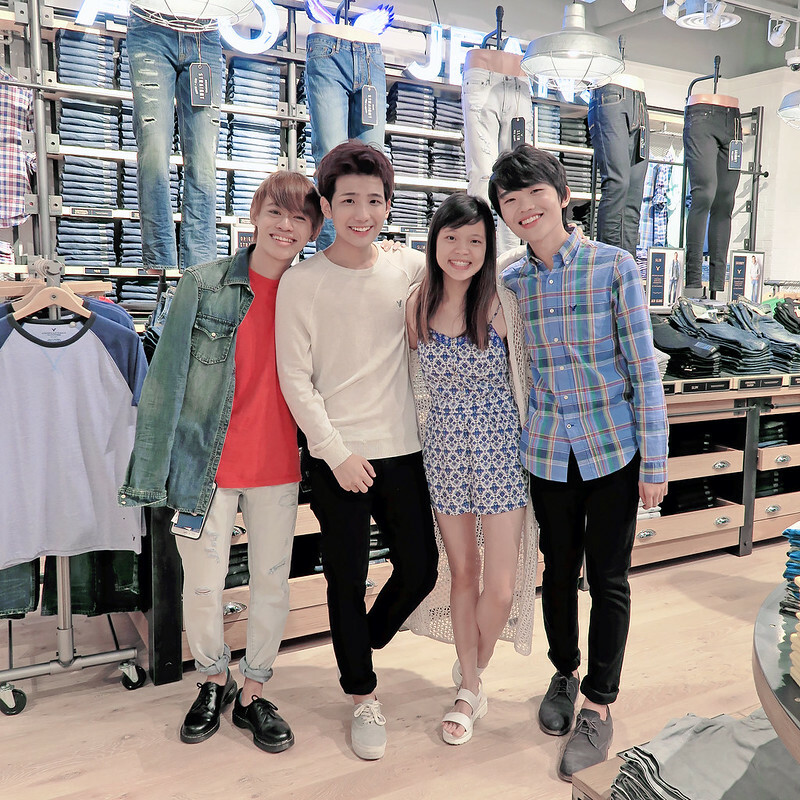 AEO is my favourite American brand and I'm happy that it is now open at Vivocity for Singapore fans and shoppers! "Quality over quantity" thats why i love AEO! Many youtubers and fashionisters rave about AEO highly bcos it is sturdy and last a long time(which means it is rlly practical too!!) But its also because it is of such good quality it comes with a price. Being a teenager, AEO is out of my budget but yet i rlly wish to personally exprience AEO jeans for myself hence i rlly wish to win this giveaway!